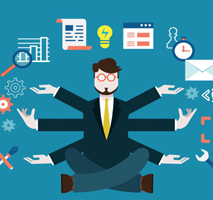 Manage distributed project teams online – Create project, tasks, sub-tasks, schedule tasks, assign tasks & sub-tasks to manager and employees, set dependencies, track progress, due date reminders and notifications by email and sms, generate reports, Gantt Charts, automatic invoice generation. To easily and effectively manage multiple projects and globally dispersed teams, through a centralized online project management console. No matter where you or your teams are located, you just need good internet connection and you can start managing and collaborating on projects. There are no hardware & software constraints, no software to download, no installations, no need to worry about data loss. Just sign up online and get going! We have developed customized Project Management Applications for various domains like : Manufacturing, Product Design, Financial Services, Construction etc. Customer will explain the scope to project manager/concerned person. Project manager will add new/existing customer details in Project management software. Project manager will create the project, will attach project scope documents. Project will be divided into several tasks. Several tasks will be divided into several sub-tasks. Project manager will be able to assign tasks and or sub-tasks to employees from employee master data in project management software. Project manager will be able to enter task/sub-task completion date. Employee will login with his/her credentials into project management software. Project management software will maintain the status of every individual sub-task like pending, completed, rejected with remark. Employee will change the status of sub-task after completing it, default status will be pending. Project manager will get automatic email/sms notification after completion of a particular sub-task, he will review it and change the status to approved/rejected with remarks. Set of sub-tasks will complete a task and similarly set of tasks will complete a project. Project management software will send email/sms notification to client after completion of project. User name and password will be given to client to access the project management software, he will go through the project and will approve/reject it with remarks. Project manager can schedule project stage wise billing in project management software, after completion certain tasks an automatic invoice will get generated and will be sent to client by email. Universal Access. You and your team can manage tasks from any internet enabled computer. Centralized Project Management. Handle all aspects of managing multiple projects from a central online location. Integrated Collaboration Tools. 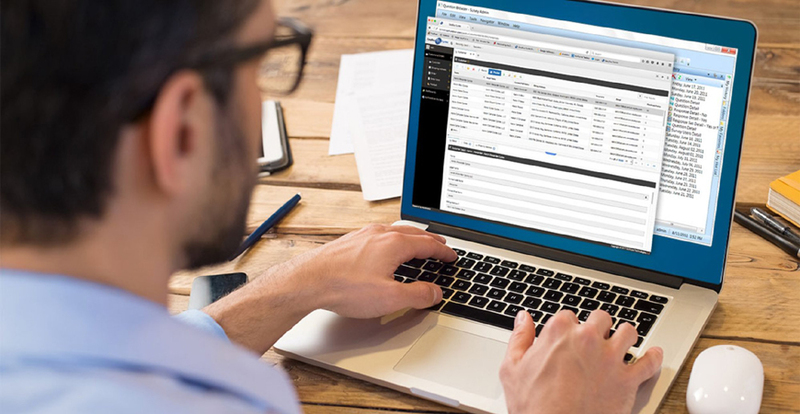 Unlike other tools, you get a whole lot of integrated tools like document collaboration, workspaces, calendars, and email to synergize with project management. Create Tasks. Automate the project management process by creating unlimited projects, tasks and subtasks with name, description, status, dates etc. Manage Responsibilities & Permissions. Assigning responsibilities to employees for projects, tasks or subtasks with completion date. Easily manage viewing and modification for projects, tasks and subtasks for each teammate. Task Dependencies. Create elaborate precedence relationships between tasks in a project to reflect sophisticated real life projects. To Do Lists. 'To do' lists allow every team member to manage themselves with an easy view of which task has been assigned to him, they have completed or yet 'to do'. Various Project status can be maintained like – info awaited, in progress, pending/hold, completed. Automatic Notifications. Automatically notify all involved parties of important events - a deadline is met, a task finished or a task assigned to somebody by email and sms. There will be 5 types of users. Employees – Limited rights to fill in information about the tasks assigned. Coordinator – Limited rights to generate, view and print reports. List of all employees and clients will be stored with add/edit/delete options. List of all the projects & project type, scope & definitions will be stored in Project Master with options - add/edit/delete. Estimated Project cost, Discount (if any), additional charges (if any), tax calculations and Total project cost calculations with description. A specific list of tasks will be assigned for a particular project which includes the order of performing any particular task (check list or sub-tasks). Employees will update the daily status. Admin/Manager/Coordinator can view the daily status of project and will write the remark, client can see the work progress on coordinator's approval. All the employees will get alerts regarding the assignment of new project, also will get notification before 2 days of due date. Client can view the project status. Admin/Manager can shift the project from one employee to other. Once project gets completed, employee will mark it as "Completed", project will not be viewable to employee/manager once it is marked as "Completed", however admin can view the project, he can change it's status to "In Progress" and then it will be viewable to employee/manager (if admin feels that some changes are required). Customized reports can be generated based on date, client, employees, projects etc. Gantt Charts to see the progress of ongoing projects, tasks and subtasks. Project Progress bar to see stage wise and task wise details. Bar charts to track project wise employee efficiency. A set of tasks will be assigned to a particular project. Tasks will be linked with the required drawing, standard formats & documents. Admin/Manager can set the alerts. Tasks will have sub-tasks/check list. Standard drawings, documents & Formats will be stored on the server, employees can download them. After working on the drawing/document, employee will store the document on local machine as well as on the server, Client will login and will download the drawing from the server. Client will get sms/email notification after admin/manager approves the drawing/word. Invoice will be generated automatically, client will get the invoice by email, he may download it from the portal as well. Particular set of drawings/work will be linked with a particular project & related tasks. Employees can login and access the portal only from office premises. Portal will verify the computer's IP address and then the access will be given. However admin can set the permissions for a particular user to access it from any ip. In case of client, security code will be sent by sms, he will have to enter the code at the time of login. All the activities of all the users will be captured during Login to Logout period. Logs can be saved as excel sheets. Domain Expert will visit your office to understand and study your processes. After gathering requirement specifications, software developers will start working on that particular module (for example - Projects). Training/help on how to use this software effectively will be provided to employees. Software developers will do changes as per your requirements, on your approval, next module development will be handled by the development team. 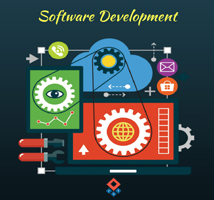 Since it's a web application, Software development progress can be monitored easily. We will be providing necessary support whenever required. In case of any software functionality failure, we will fix it as early as possible (within 48-72 hours). We will be responsible for daily data backups. We will not be responsible in case of hardware failures.